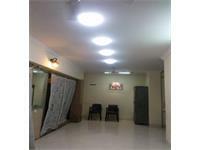 Looking for a property in Vashi? Have a property in Vashi? Vashi is a node in Navi Mumbai, across the Thane Creek of the Arabian Sea. It is one of the first nodes developed by the City and Industrial Development Corporation (CIDCO) in Navi Mumbai township. Vashi is the oldest and most developed node of Navi Mumbai. It was developed way back in 1972. Ever since then it is growing. Real estate prices in Vashi vary from one sector to another. One main advantage of Vashi over other nodes is that it is nearest to the Mumbai Megapolis. Greatest advantage of Vashi lies in that it is excellently connected with Brihan Mumbai, Thane and Panvel through rail and road. Navi Mumbai is the city of the 21st Century. The main advantage over Mumbai that it is well planned, with wide roads and better quality of life. Though originally the CBD Belapur, (CBD = Central Business District), was envisaged as the main node, because of its proximity to Mumbai, Vashi Node has been the first to be populated. Vashi is home to the best residences, malls, business parks, hospitals and educational institutions. Rich cultural diversity and open mindedness of people is a characteristic which Vashi has inherited just like any other node of Navi Mumbai. Roads connect at right angles at most places. The Iconic Palm Beach Road, connects Vashi to CBD has further added to the location advantage of Vashi, apart from being connected by National Highways at two sides. 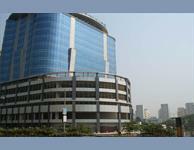 Vashi is the most sought after commercial/residential node of Navi Mumbai. Very well connected and fully developed round the clock transport facilities. All medical, educational & recreational facilities are here. Above all, population is cosmopolitan & well spread out and menace of congestion is not there because of wide network of broad & parallel roads through this node. Vashi is the heart of Navi Mumbai. It is a central place for all the shopping, entertainment and sports. It acts as a nerve center for Navi Mumbai. Integrated with shopping, movies and restaurants. Well connected with Bus & trains to all parts of Mumbai. Vashi, Navi Mumbai is rated 9 out of 10 based on 5 user reviews. Have a good knowledge of Vashi? Share it and become a Locality expert. Gami Real Tech Park is situated in the heart of vashi, Sector 30. the Real Tech Park is designed to become a quality business space that will play a catalyst in the technological revelation that continues to take over the city. 2Bhk Flat for sale at New Panvel.